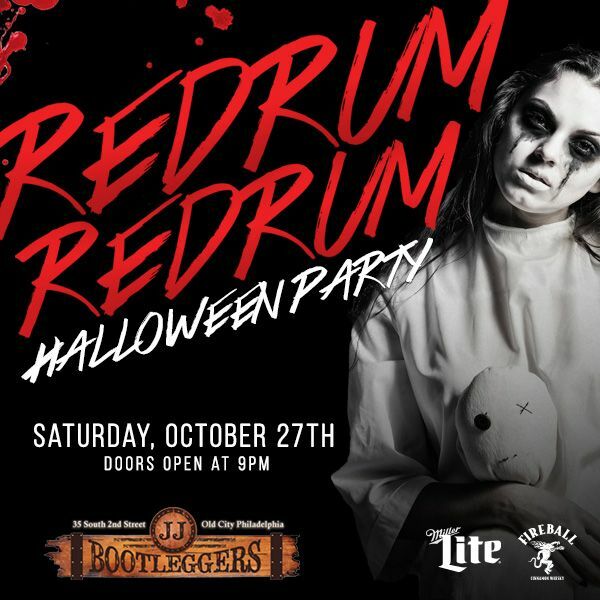 Terror and fun awaits at the REDRUM Halloween party at JJ Bootlegger's! Come out and join the rest of the ghostly partygoers in Old City as we transform JJ into a Halloween party you won't forget. JJ Bootleggers has it's own ghostly stories. Here's what's in store - Drink specials, costume contests, and DJs for a guaranteed thrilling time!! DJs Spinning the Hottest Hits!